The W.W. Eisinger Esq. 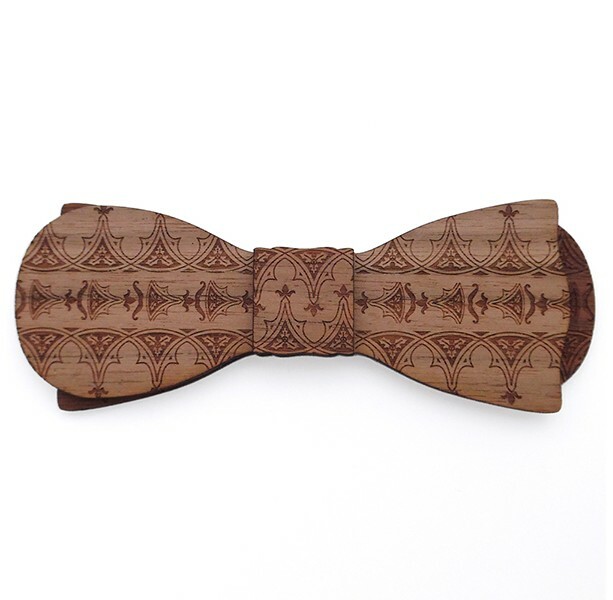 is a 'club round' bow tie with laser engraved pattern in walnut wood. The walnut engraves beautifully and still shows off the wonderful grain. The 'club round' or what we call the Esquire is quickly becoming the favorite style, showing off old and new at the same time. Approx. 1.75" x 5". Comes complete with adjustable strap.